Nantucket Cotton Tote makes a subtle style statement and a strong statement about your commitment to the environment! It is a 10 oz. 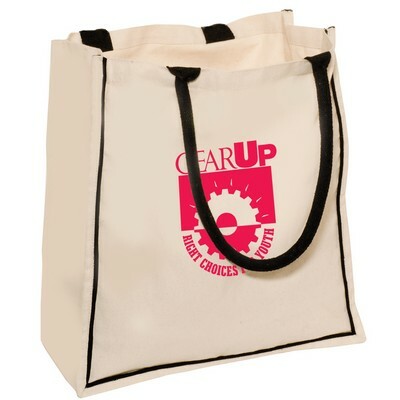 cotton canvas tote with contrast piping and padded cotton handles. 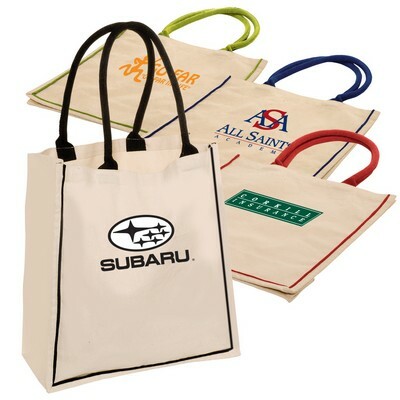 Nantucket Cotton Tote makes a subtle style statement and a strong statement about your commitment to the environment! It is a 10 oz. 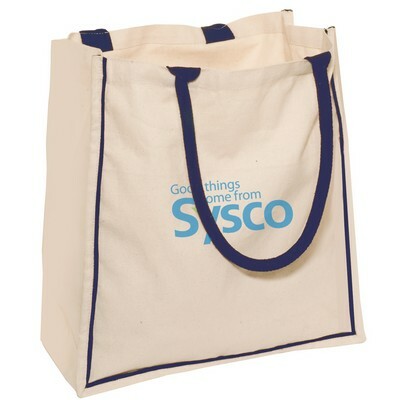 cotton canvas tote with contrast piping and padded cotton handles. 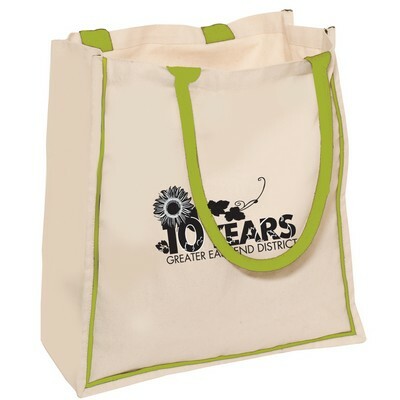 This sturdy, eco friendly tote is perfect for day trips or errands. The color of handles matches the piping. The tote is also easy to wash and can be folded to put away. Flaunt your eco–conscious side by imprinting your logo on this eco-friendly tote and watch the success of your promotional campaigns.